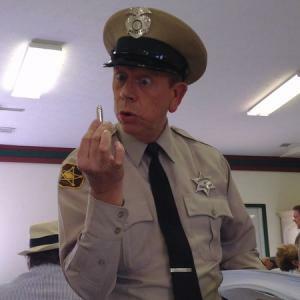 Over the weekend of May 20-22, Hendricks County will be home to the annual Mayberry in the Midwest festival, bringing families and fans of The Andy Griffith Show to Danville for some good old-fashioned wholesomeness and fun. You can read my preview of the entire festival by clicking here. But today, I want to share insider information about an amazing event that kicks off this festival every year. An event with limited tickets and limited access (though we have two tickets to give away free to one lucky reader...more on that below). On Friday, May 20 from 6 to 9 p.m. at the Hendricks County 4-H Fairgrounds and Conference Complex, fans of the show will have the opportunity to sit down for a delicious meal and an evening with Maggie Peterson, who played Charlene Darling on The Andy Griffith Show, as well as the tribute artists who play the Mayberry Deputy, Otis, Floyd, Gomer, Goober, Howard, Ernest T. Bass, Briscoe Darling and Mayor Pike during the Mayberry in the Midwest Meet-and-Greet. Fans will also have the chance to mingle with the members of the VW Boys, who will be providing live bluegrass music, comedy and magic on Saturday and Sunday on the historic Hendricks County Courthouse Square. The Hendricks County Antique Tractor and Machinery Association also will be on-hand with several of their restored historic tractors, which are something to behold. This year&apos;s Meet-and-Greet also features a very special guest: Andy Griffith&apos;s daughter, Dixie Griffith! Can you imagine the stories she must have to tell about her dad? This is a ticketed event, and tickets can be purchased by clicking here. For $25 per person, enjoy a meal cooked by none other than Danville&apos;s own Mayberry Cafe, and then mingle with the tribute artists and other guests. Or you can go for the VIP treatment. For $300 total, you and five guests will sit and eat with one of the tribute artists at your table! How cool is that?! You can even specify which tribute artist you&apos;d like to sit with. After you purchase the VIP Meet and Greet package, the organizers of Mayberry in the Midwest will contact you to see who you&apos;d like to have at your table. Hurry, though, because a particular tribute artist can obviously only eat at one table during the evening (for example, Aunt Bee is already spoken for), so get your VIP tickets purchased quickly so that you have the most choices! I have two tickets to the VIP Meet & Greet on May 20 for one lucky reader. To enter the contest for tickets, share who your favorite Mayberry character is and why by noon, Monday, May 2 in the comments section below. The lucky winner will be contacted by e-mail. Good luck!